by Coral Reefs in the Southern Sea. 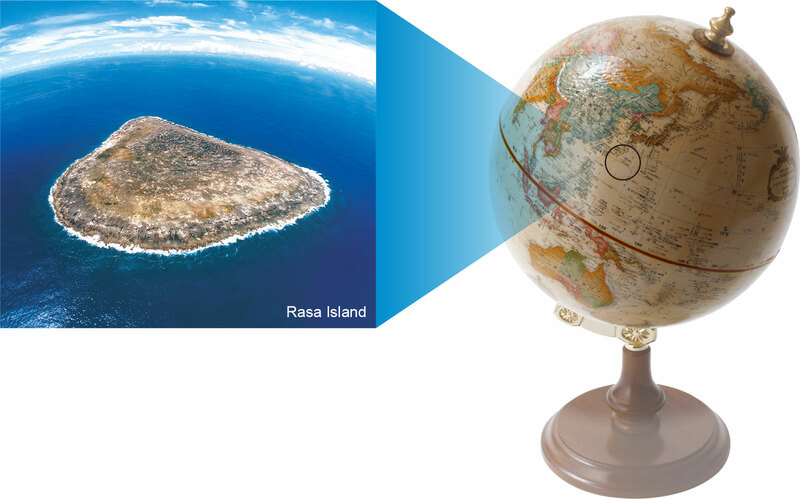 Our company name comes from “Rasa Island”, an uninhabited island where we mined phosphate ore during the latter part of the Meiji era. Rasa Island is situated to the southeast of the main island of Okinawa, and its official name is Oki-Daito Island. It was thrown into the spotlight by the discovery of phosphate ore by our founder Noritaka Tsuneto, first head of the Fertilizer and Minerals Research Institute of the Ministry of Agriculture and Commerce, and those around him. The island, as the country's sole production source of the phosphate ore used in fertilizer, became a vitally important site for the agriculture industry before WWII. The island is currently uninhabited, but continues to play an important role, demarcating Japanese territorial waters.